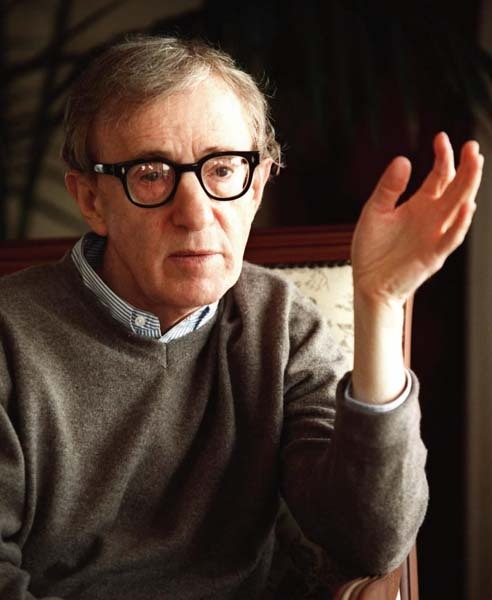 Woody Allen is in town directing a romantic comedy film about a woman trying to make it on a budget when she moves to San Francisco after her posh New York City lifestyle comes crashing down, according to the San Francisco Film Commission. The untitled film by the actor/director behind the movies “Annie Hall” and “Midnight in Paris” started shooting Thursday in the Pacific Heights neighborhood. Allen will be filming around the Bay Area until the end of the month, a film commissioner said. The film crew and cast–which is rumored to include Cate Blanchett, Alec Baldwin, Peter Sarsgaard and comedian Louis C.K.–will be set in the Mission, the avenues in the western end of San Francisco, the Marina District and parts of Marin County, according to the commission. Some Bay Area actors are supposed to be included in the project, which will also include filming shoots in New York City. The film commission said the movie is about a wealthy woman who finds herself broke and in San Francisco, living with her sister and downsizing her life. The film, produced by Perdido Productions based in New York, is expected to be released by the end of 2013.